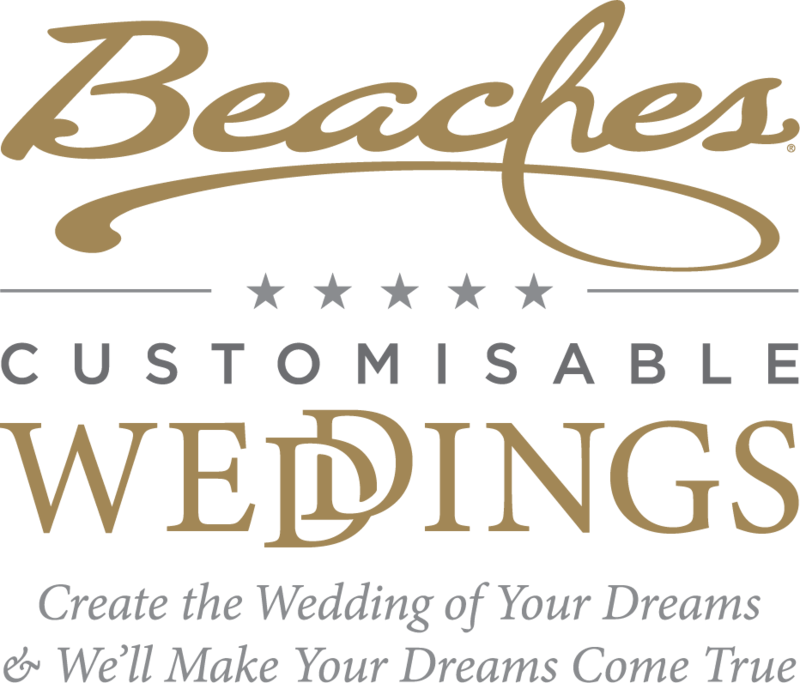 The more the merrier, they say… and nowhere does that hold more true than at a Beaches wedding. So turn your wedding into a weeklong celebration where everyone gets something to say "I do" to. Share your wedding with as many family and friends as you'd like, because the more people you bring, the more Bells & Whistles are included. What’s even better is that you can pick the perks that mean the most to you. How many guests might attend? When you have your wedding at a resort where everything is included and unlimited, everyone gets to join in on the fun. While you're getting some romantic alone time together, your guests can do it all – or nothing at all. The options are unlimited, and included. Clear turquoise waters and powder white sand on two of the most gorgeous islands. Only Beaches includes up to 21 restaurants per resort, always included and unlimited. We include unlimited premium spirits at no extra cost in as many as 12 bars per resort. The exclusive partnership with Robert Mondavi Twin Oaks® raises the standard of the “included” wines at our resorts. We include unlimited diving with the best in equipment, staff and unbelievable dive sites. Water sports are included along with top-of-the-line equipment and professional instruction. Beaches includes unlimited land sports so there are no limits to what you can play, when you can play. Only Beaches includes exclusive golf with unlimited play and complimentary greens fees. Available at select resorts. Enjoy some of the largest pools in the Caribbean featuring our signature swim-up bars. Beaches features the most unique and romantic fire pits in ideal locations throughout the resort. Only Beaches has the biggest water parks in the Caribbean, where kids of all ages will have a blast. At Beaches there are parties around the beach, around the pool, around the clock. Inspired by the distinct essence of the Caribbean, our signature Red Lane® Spa experiences are like nothing else on Earth. Your wedding is the time for you and your beloved to steal away, but there's also time to spend with your guests, reveling in new beginnings. 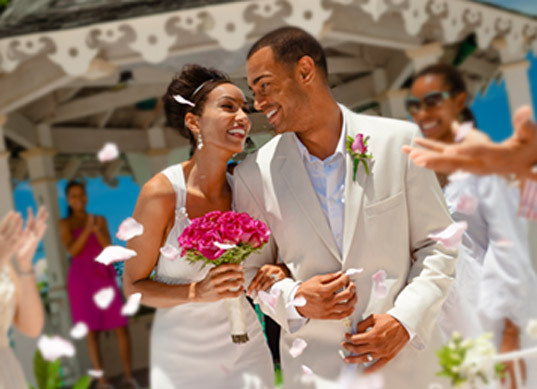 Best yet, your wedding celebration can be whatever you want it to be, from a few days of togetherness to a weeklong celebration. We can help you create the perfect itinerary for your guests, from group get-togethers and excursions, to free time where everyone gets to go off on their own. Beaches can make it the most memorable week ever… for you and your guests. Before your guests arrive, carve out some time for just the two of you. Once everyone arrives, give them a glimpse of what they’ll get to enjoy! Time for your guests to get acquainted, shed inhibitions and just let loose. The guys do their thing and the girls do theirs. At long last the moment you've been waiting for has finally arrived. It’s time for the ceremony followed by the feast! Send your guests off in style by savouring a few more minutes of quality time.